Overarching theme: Intertwining research, science and society: key issues for sustainable connections. Responsible Research and Innovation, RRI, and Open Science have the potential to transform the current research and scientific system for the greater good of all. We want to run a collaborative workshop with BAST to explore the background, tools and paradigms behind these concepts, and their usability. Every participant will leave with a stronger understanding of how can she or he seek and create opportunities for opening research to different stakeholders and a set of practical steps to fire-up processes or spark curiosity among partners and colleagues, in a way implementation is foreseeable. Mobile Nuclei within the NUCLEUS project consist of one-time events testing innovative RRI -Responsible Research and Innovation – approaches in different settings and environments. They aim to share and reflect the connections between different people involved in or connected to research and the relations with various stakeholders outside the consortium. 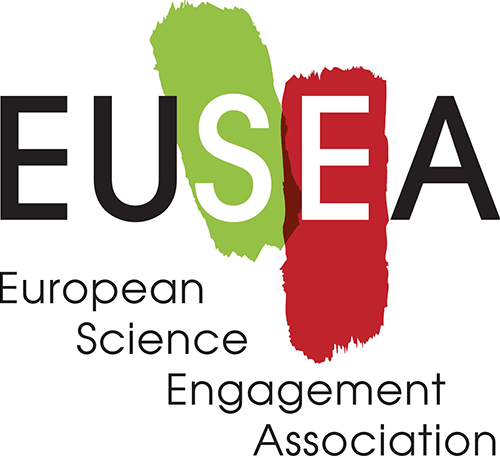 BAST is a consortium member of the NUCLEUS project and together with EUSEA will run hands-on workshops to learn effective ways to bring different stakeholders into the innovation and research arena. The proposed workshop will enable participants to create individual roadmaps to open their work to a breadth of stakeholders that are connected with their fields in different ways. We will share interdisciplinary knowledge and expertise, examining real case stories to better understand real-life situations. The following questions will guide our workshop: How can scientists address audiences from other societal areas? How to deal with barriers to inclusion and diversity? How to strengthen bounds and build-up robust and collaborative relationships? Why should we be doing all this? The aim is to bring together talented early-career researchers, professionals operating in the private sector, governmental and non-governmental organisations from different societal spheres. • Introduction to Europe´s current landscape for research and innovation. • Case studies stories from NUCLEUS project: Tackling Air Pollution in a collaborative way (Hannover, Germany); Genetic Modified Organism, GMO, as a backstage for scientific conversations (Wroclaw, Poland); Mapping meaningful partnerships (Lisbon, Portugal); Smart cities, scientists and citizens (Nottingham, UK). • Practical exercises: Cards round; Silent thinking walk; Gamestorming. • Your own personal and collaborative plan.